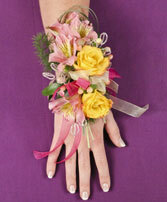 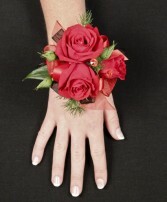 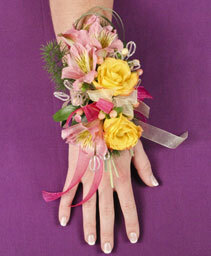 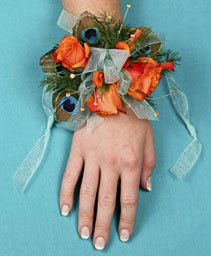 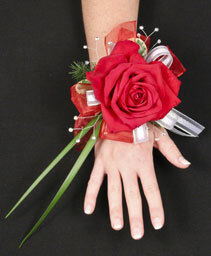 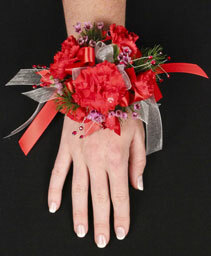 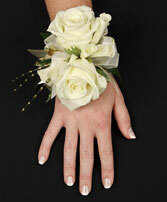 Wrist corsage on elastic/decorative wristlet with pink gerber daisy and pink spray roses. 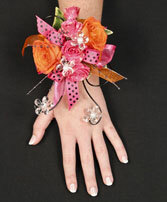 Decorative wire and jewels added for extra pizzazz! 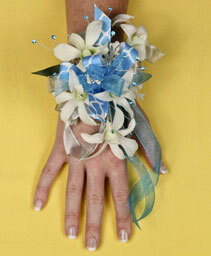 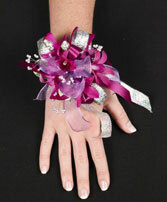 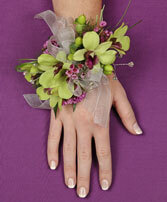 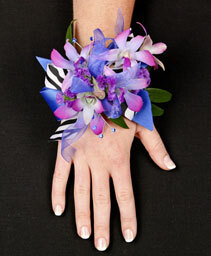 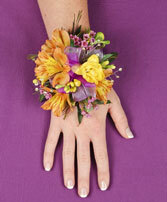 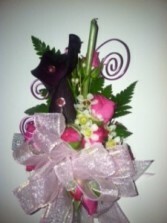 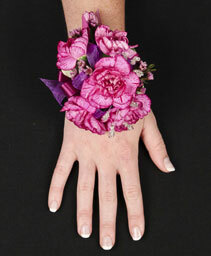 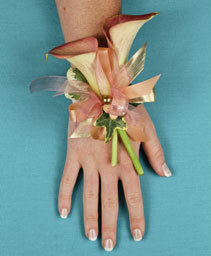 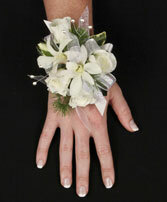 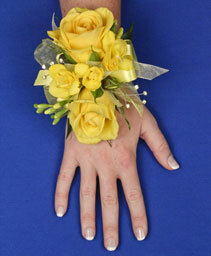 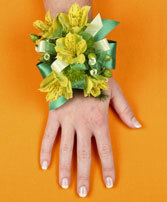 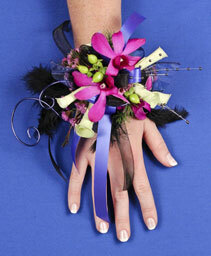 Wrist corsage with Purple calla lily and accent flowers.